Looking for images is easy, it’s finding the right ones that is hard work. We really have to tap into your thinking process to uncover some of the secrets to better search results. Often times, people are too quick to punch in the basic keywords and are left with cliches to work with. To fix this, you’ve got to change the way you approach a stock photography search. To uncover how to find good stock pictures and vectors, continue reading our detailed guide. Don’t think in literal terms. For instance, if you’re looking for a beautiful breakfast set, don’t just type in ‘breakfast’. Put together 3 concept ideas to come up with something more creative. For instance, ‘flat-lay, breakfast, minimal’. 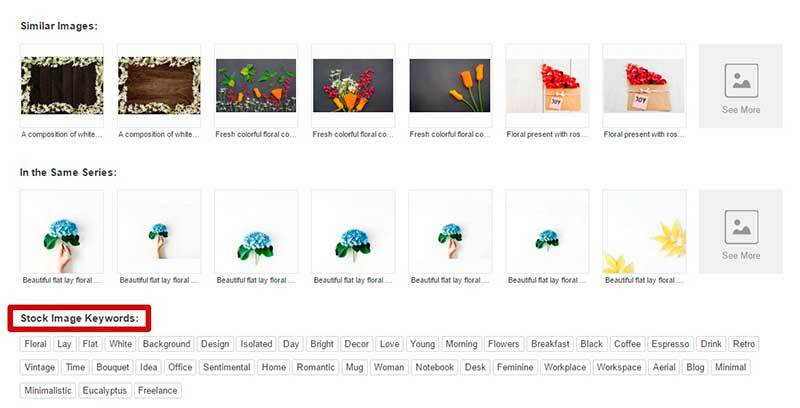 These keywords will give you a much more narrow selection of specific photographs (depending on the style you’re looking for). The search for ‘breakfast’ produces 1,206,302 search results while our 3 keywords have 264 results. Consider how much valuable time you’ve saved yourself by being more specific and particular. If you find an image you like, click on it and go to the bottom of the page. The page will include all the keywords associated with the image you like. Click on them and open them in separate tabs to see what else is available. It’s also a good place to gather ideas and see how images differ by keywords, which keywords produce better results and how you can use this information to your advantage. If you have an image concept in mind, try to think of other symbols that can help represent your idea. For instance, if you’re looking for fall imagery try using words like ‘cozy’, ‘atmospheric’ and ‘earthy’. Pair this with a search by color, and you’ve got yourself some very unique imagery. Don’t be too literal with your search. If you’d like to take it a step further pair your words with an emotion and you will stumble on a more storytelling image. On the left hand side of your image search results, you will see a column for advanced search options. Use these tools to help you further narrow down your search. You can choose your image orientation, exclude keywords, search by number of people, color and many other options. Take time to study these and use them in a combination with the other tips in this article. 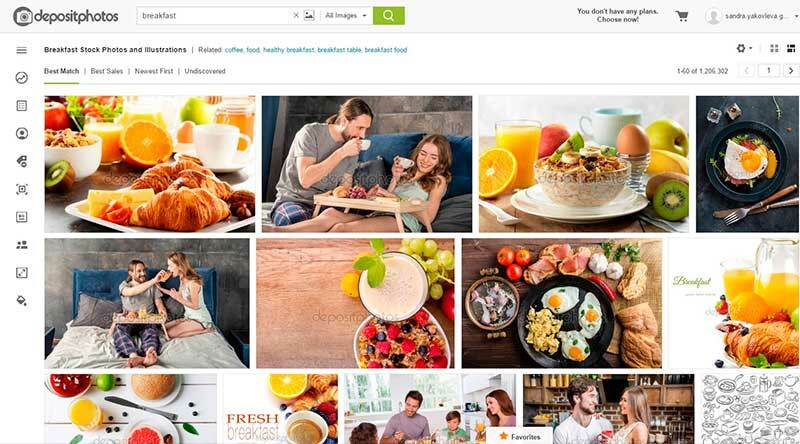 You probably spend lots of time on Pinterest (or Pinterest alternatives) and turn to Google images for a basic search to start with. 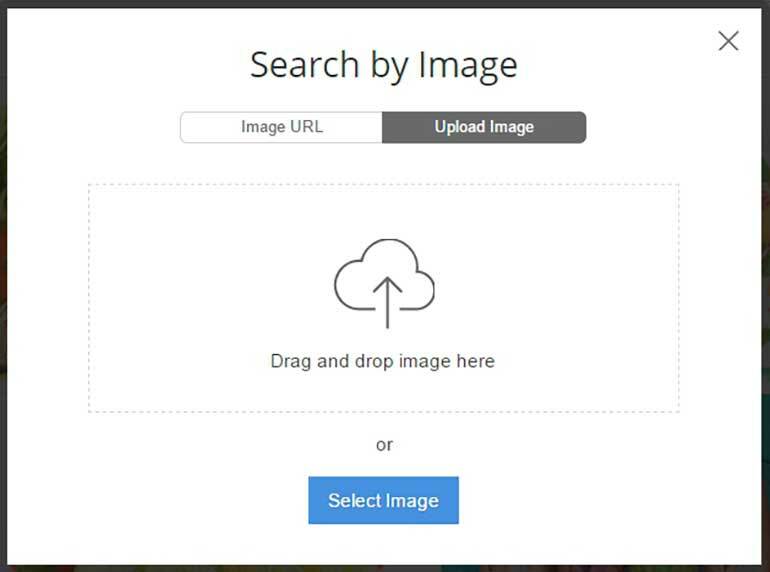 Save some images you like and upload them to our ‘Reverse image search’ bar. You will get similar images and choosing the right one will be that much easier! Every Tuesday, our blog publishes a featured collection based on a specific theme or topic. The great thing about these collections is that the images are already hand selected by professionals with an eagle eye. See if the topic you’re interested in is part of the featured collections list and start your search there. The least obvious tip is to get out of your mindset as a consumer, and think like a photographer. Photographers are the ones that assign keywords to their images. What are some things you would use to describe your photograph if you were the one taking the pictures? It takes about a second to grasp how the search algorithms work. With these tips, you will significantly cut down your search time. The objective is to narrow down your search results to a low number so that you don’t have to skim through as many pages and will ultimately have more accurate results.